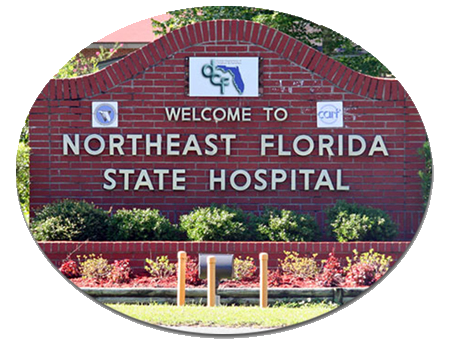 Since 1959, Northeast Florida State Hospital (NEFSH) has provided continuous service to people whose mental health needs cannot be met in community-based programs or whose assessed needs require a residential treatment environment with specialized programs and services that promote the successful return of these individuals to community living as soon as possible. This facility is the largest provider of civil service in the State of Florida, operating 633 beds and serves residents from 30 of the 67 counties in Florida. As a 2000 Governor's Sterling Award Winner for Organizational Performance Excellence and National Accreditation by the Commission on Accreditation of Rehabilitation Facilities (CARF) in Nov. 2009 and Nov. 2012, our commitment to those whom we serve, as well as their families and loved ones, will continue to focus on ensuring that they never lose hope for a quality of life that they seek and deserve. Your involvement and support of these efforts is critical and appreciated by NEFSH and those whom we are privileged to serve.